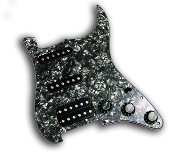 Dragonfire with standard coil tap, pickup and pickguard color choices! 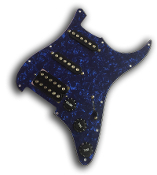 Pro-Series Pickguards - Dragonfire Blues Kat, THEBLAKEM - Standard Coil Tap & 7-Way Switching. Pickup and pickguard color choices! 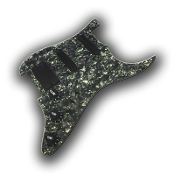 Dragonfire Quad/Hot Rails MiniSwitches, pickup and pickguard color choices!